The magnitude 6.4 quake on Tuesday injured 260 people and caused four buildings to collapse. Rescuers combed through the rubble of collapsed buildings on Wednesday, in a search for 67 people missing after a strong earthquake which killed at leastseven near Taiwan's popular tourist city of Hualien. The magnitude 6.4 quake, which hit near the coastal city just before midnight (1600 GMT) on Tuesday, injured 260 people and caused four buildings to collapse, officials said. 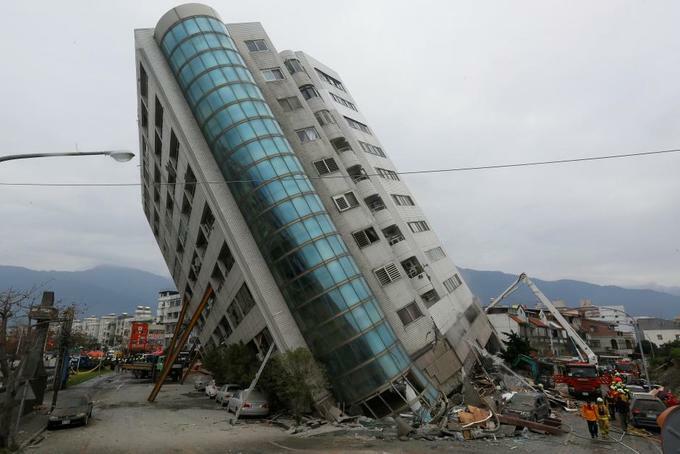 Many of the missing were believed to be still trapped inside buildings, some of which tilted precariously, after the quake struck about 22 km (14 miles) northeast of Hualien on Taiwan's east coast.